Every one of our team members is highly-valued and cared for – which is why we can proudly say that our employee retention rates are far above the industry norm and many of our carers have with us since we began in 2007. We offer generous benefits and pay that’s in line with local living wage and above, and we reward our team members for value-based achievements. We provide the best training in the industry, and it’s always on-going; we also pay for time spent training – because that’s the way it should be. If you have a calling to care for others, we’d love to hear from you. 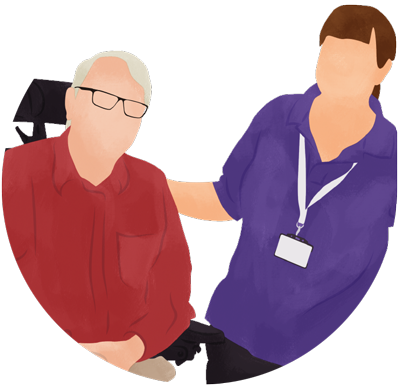 We seek both experienced and inexperienced carers – no experience is necessary, full training is provided. Download our application pack, complete the application and equal opportunities forms, and return them to us by email or post using the contact details below. If you’d like us to send you an application pack by post, please do get in touch.